Cool off with this non-alcoholic Epicurean delight! Mixed with Cymbidium Orchid, Roses, Tropics, French Tulips and Citrus in a taller vase, this piece screams sunshine and fun! 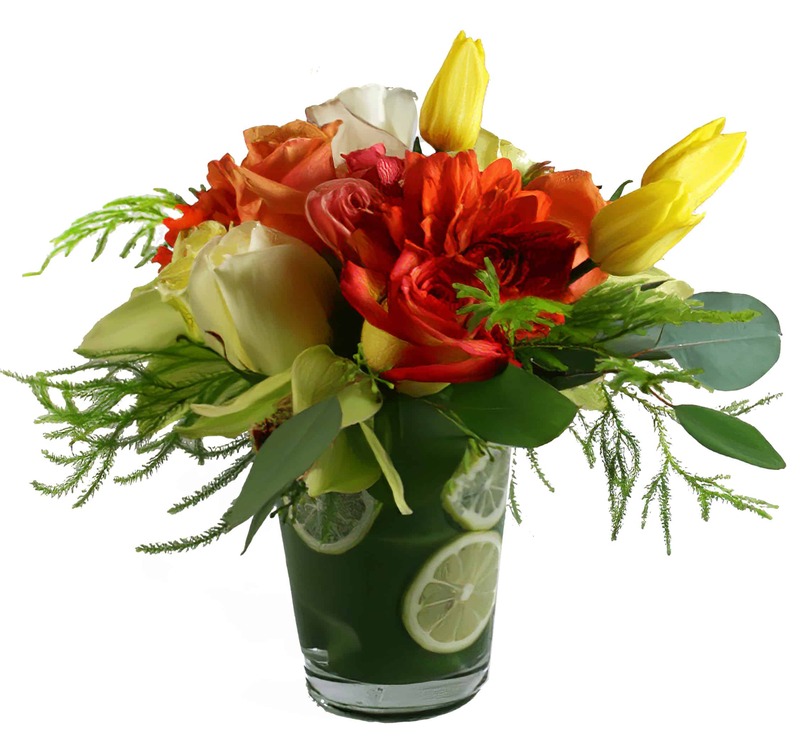 It's sure to liven up your next party or brighten any cloudy day with it's warm rays of red, yellow, orange and green! Celebrate the good times with this marvelous flower arrangement!